Here is a new card I made using papers from the My Precious Daughter collection and a beautiful Pion Design’s vintage image. This is truly beautiful! 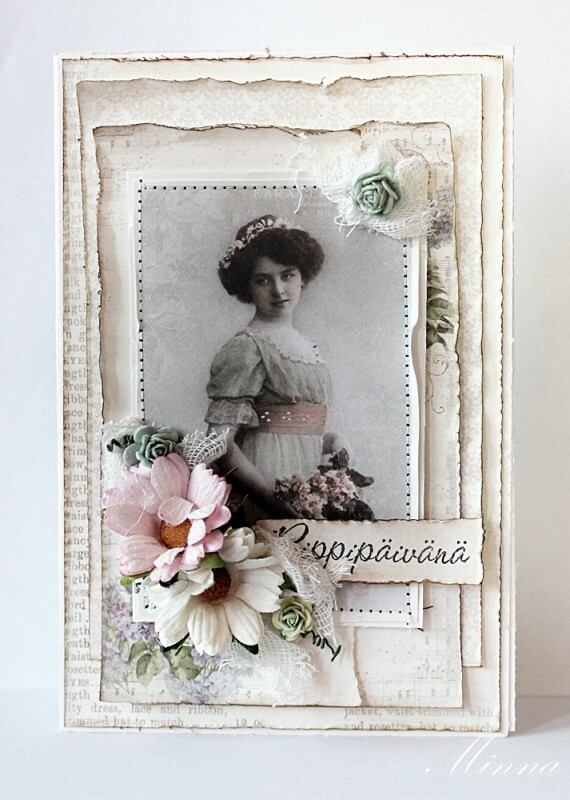 Love the layers of distressed papers, the sewing, flowers, and the lovely image!